MERCEDES — Finally, Army Private First Class Tomas Marroquin is getting the recognition he deserves. Decades after his hometown veterans memorial was dedicated, Tomas’ name has now been etched on it. 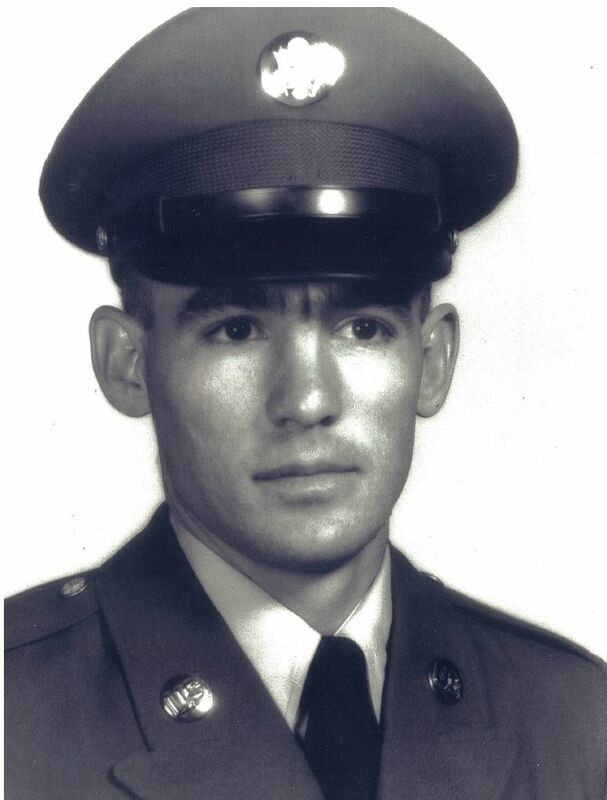 Tomas died in Vietnam on Aug. 11, 1966. His name was originally left off the American Legion Memorial Monument because he died in an Army camp from an illness, not in the heat of battle during his tour in the Vietnam War. At that time, 1983, American Legion Post 172 was only following protocol for the war memorial. But last year President Trump reversed that protocol with a resolution stating all soldiers who died during service — not only in combat — should be listed on their local war memorials. For years, the Marroquin family had to travel to the Vietnam Veterans Memorial in Washington, D.C., to find Tomas’ recognition for his service in Vietnam. And for a long time, the Marroquin family fought to have his name engraved on the hometown memorial that lists his 15 friends who also died in that distant war. So Monday, on Memorial Day, Tomas and his family will have their peace. Tomas and Air Force Staff Sgt. Michael Cinco’s names will be unveiled on the Mercedes American Legion Memorial Monument. “On behalf of the American Legion, we are so glad we are updating the monument to reflect PFC Tomas Marroquin’s name on it and, of course, Staff Sgt. Michael Cinco will be recognized on it,” said Juan Moya, American Legion Post 172 vice commander. The two are Mercedes sons who gave the ultimate sacrifice defending freedom in two different wars, decades apart. Marroquin died during the later stages of the Vietnam War in 1966. Cinco died in Afghanistan from a motorcycle suicide bomb attack claimed by the Taliban in 2015. And they will be remembered along with the many other soldiers who fought in battle defending freedom. This Memorial Day American Legion Post 172 and families will have a ceremony including a final roll call, flag rising, “Taps” and a reception for veterans and families of service members listed on the memorial. The guest of honor for the event is Army Colonel Roberto Castillo, a former student and JROTC cadet of Mercedes High School. Moya said the public and all veterans and families of those who have fallen are invited to the event to remember the men and women who served and have died for their country. Mercedes resident Odilia Marroquin loses tears when she remembers the day Army officers arrived in Mercedes with news her younger brother, Tomas, had died in the Vietnam War. “It was heartbreaking,” Odilia said. She remembers him coming home to say goodbye to the family once more before leaving to train for war as an Army “sky soldier” ready to charge the jungles of Vietnam. It was the last time she would ever see her younger brother alive. “He was a wonderful young man,” Odilia said. “He was willing and he wasn’t afraid,” she recalled. Tomas was drafted to fight in the Vietnam War in September 1965. He died on Aug. 11, 1966. Staff Sgt. Michael Cinco is the city’s most recent service member to die in the theater of war. Cinco was days away from coming home to his wife for the Christmas holidays two years ago. Cinco, 28, a U.S. Air Force Airman, was killed in a suicide attack in Afghanistan on Dec. 21, 2015. 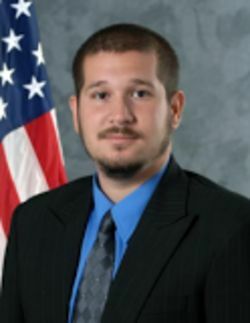 Cinco was a member of the Air Force Office of Special Investigations. Its primary responsibilities are criminal investigations and counterintelligence services. “He never got into trouble,” said Rick Reyes, Cinco’s high school principal, now assistant principal at Mercedes Jr. High School. Cinco loved skateboarding, played baseball and loved football in high school. “He had a low profile, he was one of those kids that did everything right and never got into trouble,” Reyes said.